First sentence: One fine summer’s morning the sun peeped over the hills and looked down upon the valley of Silverstream. Premise/plot: Miss Barbara Buncle lives in the quiet and peaceful village of Silverstream. But Miss Buncle has a secret which is so BIG, so EXPLOSIVE, that it will shake up an entire community. Her secret? Necessity has driven her to write a book, and since she lacks an imagination, her book is peopled with her actual neighbors. 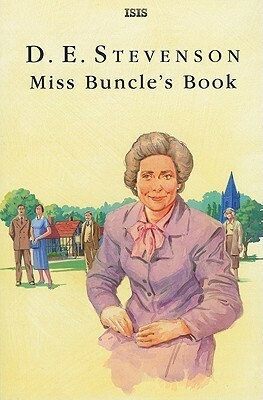 In some ways no one is more surprised that the book will be published than Miss Buncle herself. Can she keep her secret intact and protect herself from a potential mob? 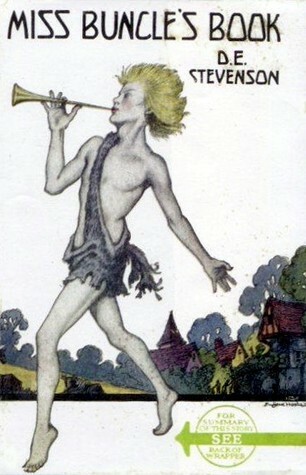 The book is published under the name JOHN SMITH. This gives Miss Buncle some time at least! But there are a few people who will dedicate their lives to uncovering the REAL identity of the author. 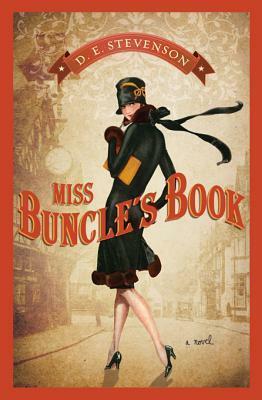 While there are busybodies trying to discover John Smith's identity, Miss Buncle is spending her time WRITING A SEQUEL. This is a novel that is just OH-SO-RIGHT that you can't help wanting to live in it and savor every single minute of it. I loved the characterization, as I've hinted at, but I also loved the WRITING. One could almost open it up to any page and find something worthy of quoting. What fools the public were! They were exactly like sheep…thought Mr. Abbott sleepily…following each other’s lead, neglecting one book and buying another just because other people were buying it, although, for the life of you, you couldn’t see what the one lacked and the other possessed. But this book, said Mr. Abbott to himself, this book must go—it should be made to go. Pleasant visions of bookstalls piled with neat copies of Chronicles of an English Village and the public clamoring for more editions passed dreamily through his mind. John Smith, what a name! An assumed name, of course, and rather a good one considering the nature of the book. Every single character breathed the breath of life. There was not a flat two-dimensional character in the book—rather unusual that! It was queer, it was unusual, it was provocative, and, strangely enough, it was also extremely funny. “Why did you write it? How did you feel when you were writing it? Have you ever written anything before?” he explained. “I wanted money,” said Miss Buncle simply. Mr. Abbott chuckled. This was a new kind of author. Johnson’s dictum that nobody but a donkey wrote for anything except money was as true today as it had ever been and always would be, but how few authors owned to the fact so simply! They either told you that something stronger than themselves compelled them to write, or else that they felt they had a message to give the world. In his opinion Disturber of the Peace was a golden egg, but whether Miss Goose Buncle would lay anymore was beyond the power of man to tell. Barbara watched it all with interest; it was such fun to watch people and see how they reacted to one another’s personality. Nobody in Silverstream cared what Barbara Buncle thought; the woman was nothing but an idiot. She had lived for so long among these people and had suffered so many afternoon teas that she was able to say the expected thing without thinking about it at all. You simply put a penny in the machine and the expected thing came out at once, all done up in a neat little packet, and suitably labeled. He had already noticed that Miss Buncle was either monosyllabic and completely inarticulate, or else overpowered by a stream of words which forced themselves between her lips like water from a bursting dam. (It was almost as if she were on oath to speak the truth, the whole truth, and nothing but the truth all day long and every day of the week). “Ugh, damn and blast!” he cried, rubbing his ear with a thoroughly grimy hand, and decided for a bath. The decision had been made for him by a spider (not for the first time had this intelligent insect helped a gallant soldier to make an important decision at a critical moment. It will be remembered that Robert the Bruce was similarly guided). She tried to fix her mind on the sermon. It was all about loving your neighbor, and how you must seek out the good in people and only see the good. Mr. Hathaway said that was the way to make people good—by refusing to see the evil. Barbara wondered if this were true, and, if so, how deep it went. If you refused to see the evil in a murderer, did that cure him? Doubtful. 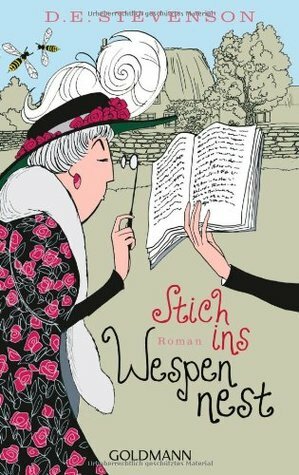 A person can read when they’re knitting, but they can’t write, can they? “What about history?” suggested Sally. “I’m awfully ignorant about history, you know.” “We had better start with history, then,” Ernest said. “Everyone should know something about history, shouldn’t they?” Sally demanded. “Nobody even thought of you. You could never have written Disturber of the Peace. Sarah Walker has brains. I don’t care for the woman at all—never did. She has no idea of how a lady ought to behave. Barbara was hurt, and amused, intensely relieved, and very much annoyed all at the same time. Christmas came and went; Silverstream went to church and gave each other small and somewhat useless presents just as it always did at this season of the year. Ernest learned quite as much as Sally at these history lessons—not much history, of course, but there are other things just as important as history. 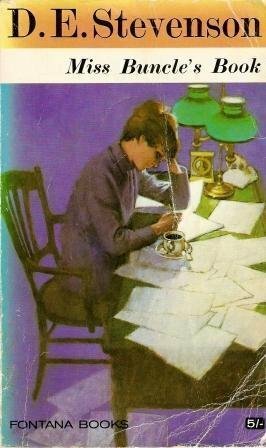 Mr. Abbott had never before read a novel about a woman who wrote a novel about a woman who wrote a novel—it was like a recurring decimal, he thought, or perhaps even more like a perspective of mirrors such as tailors use, in which the woman and her novel were reflected back and forth to infinity. It made your brain reel if you pursued the thought too far, but there was no need to do so, unless you wanted to, of course. So much for the main theme. Miss Buncle’s writing had come on a lot, and yet it had not lost the extraordinary simplicity which some people had taken for satire. Mr. Abbott sat and thought about it for a long time, and then he smiled. He saw the end of the book quite clearly, and it was an end that satisfied him—he hoped sincerely that it would satisfy Miss Buncle. He found a sheet of foolscap and outlined his idea for the completion of The Pen is Mightier—. The letter which he enclosed with the manuscript and the notes took him much longer to write, and he re-wrote it several times before he was satisfied with its wording. An episode that has actually happened in real life cannot be said to be too improbable for a novel. I read this one late last year, just before Christmas. It does have a lovely blend of humour and character observations. It's so easy to imagine it playing out as a movie while we read.